PHP and MySQL Web Development Archives - Amplitude Design, Inc. Please understand that this was part of an exploration, and I never implemented this option. I was exploring remote access to MySQL. However, this may be helpful to others, and I wanted to share a bit of my experience and PHP code. I will most likely use autossh and SSH tunneling as the final solution. Here is a follow up post on how to use autossh and ssh tunneling for creating the connection. Using ProxySQL for remote connections improves speed of MySQL using SSL. I used OpenSSL to generate the certificates on the MySQL remote server. $result = $query->fetchall(); // or you can just $result = $query as hakre proposed! // THESE ARE FROM THE MYSQL SERVER. Amplitude Design worked with FeLion Studios to develop a site that was both social and functional. FeLion Studios, a Madison base art studio, was interested in selling their cast-iron art, and creating a social following for their regional events. The success of the site led to top listings on Pinterest.com, Awesomer.com, Thrillist.com, WhyImBroke.com and other top blogging sites. To top it all off FeLion Studios was invited to participate on the Martha Stewart Show. If you are interested in speaking with a web development or design expert click here. Amplitude Design, Inc. is pleased to announce the launch of www.PediatricsPC.com. Pediatrics PC is a pediatric clinic located in Omaha, Nebraska. 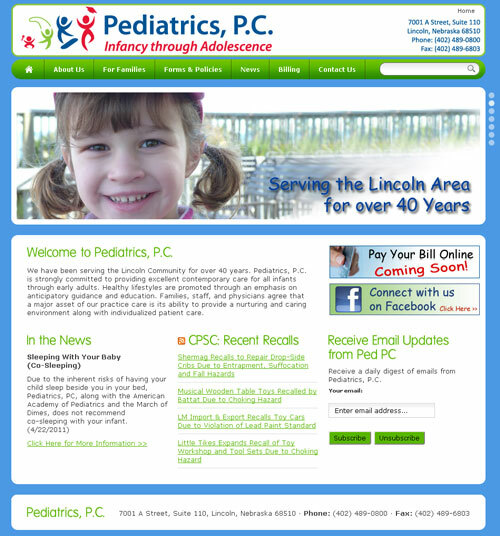 The site contains general office information as well as a means to notify patients of related childcare news. This is our second Culligan development project based upon the success of our prior work. 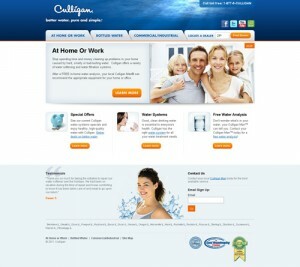 Over five years ago Kennedy Communications attracted more then 100 Culligan dealers to use a template we designed specifically for Culligan. Five years later it was time to take a fresh look at the web site and work-flow process. Amplitude Design, Inc. developed a new system to handle the day-to-day management, incorporating Kennedy Communications’ specific requirements, and created a more efficient architecture to address the accounts growth. 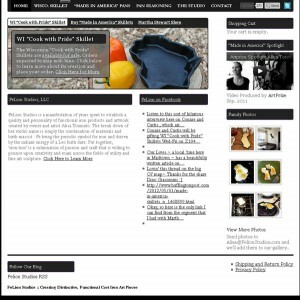 A Content Management System to handle the various web sites. Consolidate the various web sites into one environment. This is one of many stories where our close client relationships have help grow businesses. If you could benefit from web site development please click here to contact us? 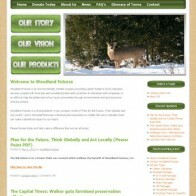 Woodland Futures, LLC worked with Amplitude Design, Inc. to launch their first web site. The company focuses on offsetting carbon pollution through planting trees. The site provides informational content and a variety of packaged options to promote carbon neutrality. 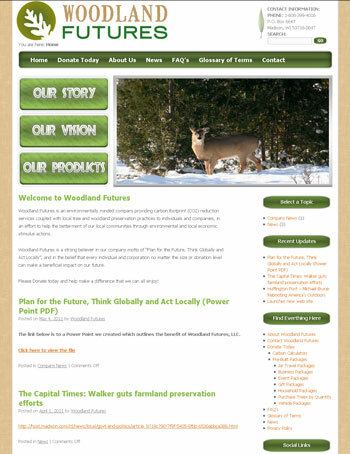 As an adjunct to the system, the site provides businesses with a Carbon Calculator, which calculates the appropriate number of trees to offset operations. 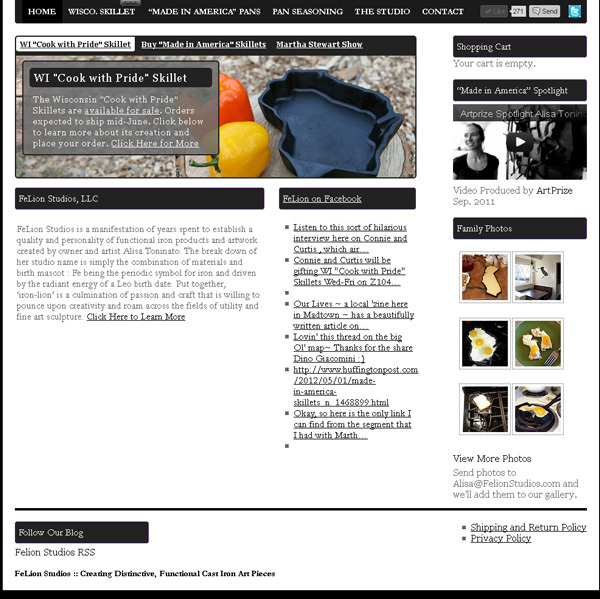 Amplitude Design, Inc. used WordPress to build the site. The site also uses PayPal for credit card processing. After working with other web development companies, Woodland Futures, LLC chose Amplitude Design, Inc. because of our experience. If you are interested in working with an experienced web development company click here to contact us? Amplitude Design, Inc. was pleased to work with the Wisconsin Cheese Makers Association on the development of the new site for the United States Championship Cheese Contest (www.uschampioncheese.org). 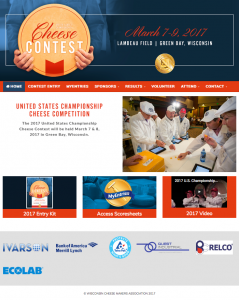 To view photos of the 2011 United States Championship Cheese Contest click here. To view the video from the 2011 United States Championship Cheese Contest click here. If you could benefit from e-commerce solutions please don’t hesitate to contact us?